Aruba's first inhabitants are believed to have been the Caquetios Amerinds from the Arawak tribe of Venezuela. Archeologists have found remnants of their settlements dating back to 1000 AD. In 1499 the Europeans arrived as the Spanish explorer Alonso de Ojeda and the Italian navigator Amerigo Vespucci discovered the island. Within a few years Aruba was colonized by settlers from Spain and from other Caribbean islands. In 1508, Alonso de Ojeda was appointed Spain's first Governor of Aruba. The Spanish eventually decided that Aruba, as well as Bonaire and Curacao were without much value, so in 1515 they forcibly deported the natives to work as slaves in the copper mines on the island of Hispaniola. Most of the Spanish occupants left Aruba for South America (in search of gold) and Aruba was consequently attacked in 1633, then occupied in 1636 by the Dutch West India Company and used as a military outpost and trade base; the same was true for the neighboring islands of Bonaire and Curacao. In short order the "ABC Islands," as well as the islands of Saint Eustatius, Saba and Sint Maarten in the northeastern Caribbean became overseas territories of the Kingdom of the Netherlands. Aruba and Curacao were hit especially hard by the abolition of slavery in 1863. 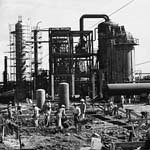 Prosperity (and that of neighboring Curacao) was fortunately restored in the early 20th century with the construction of oil refineries to service the newly discovered Venezuelan oil fields. During World War II, together with Curacao, the island's world-class exporting oil refineries were the main suppliers of refined products to the Allies. Consequently, Aruba became a British protectorate from 1940 to 1942 and a US protectorate from 1942 to 1945. Dutch colonial rule ended after the conclusion of the Second World War as Queen Wilhelmina had promised in a 1942 speech to offer autonomy to the overseas territories of the Netherlands. In May 1948, a new constitution for the Dutch overseas territories was crafted, granting the largest amount of autonomy allowed under the Dutch constitution. Among others, universal suffrage was introduced, and the territory was renamed the "Netherlands Antilles." 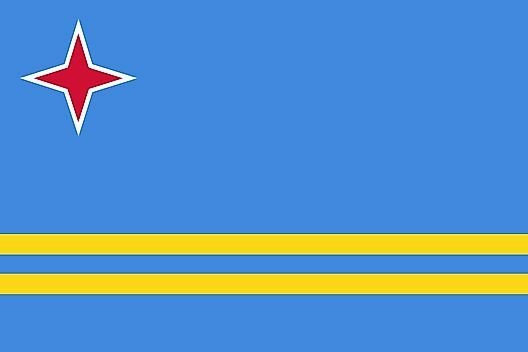 On January 1, 1986, Aruba seceded from the Netherlands Antilles and officially became a country of the Kingdom of the Netherlands with full independence set for 1996. Aruba's scheduled (complete) independence was rescinded by vote in 1995, although the process can begin again after an island-wide referendum. In Aruba, oil refining (even gold mining) remained the major industries into the early 1990s, but then tourism developed quickly and the economy of Aruba changed. In fact, Aruba remains one of the most popular vacation destinations in the entire Caribbean. Aruba has a population of 107,635 and the people are refered to as Aruban/Dutch. This sunshiny place of balmy (some say perfect) weather, sandy beaches, duty-free shopping, and one of the most fascinating ecosystems on the planet, is surrounded by the warm, aquamarine waters of the Caribbean Sea.